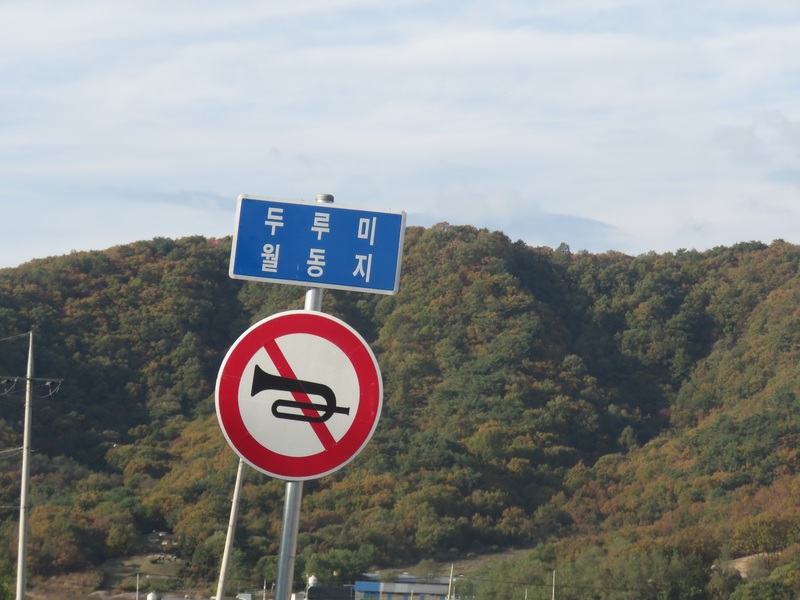 Gangwon province is always worth traveling, the more so in this beautiful season. This time, a conference took me to Yanggu, but on the way back to Seoul I took a long detour via Cheolwon at the inner-Korean border to check shortly on arriving cranes. Arriving in Cheolwon, I found the area extremely disturbed, due to the current manoeuvres with overflying helicopters and soldiers everywhere on the rice paddies. In the long run, the seemingly unstoppable increase of agricultural construction – hothouses, roads, concrete trenches etc. – seems to be a much greater disturbance for the birds, though. 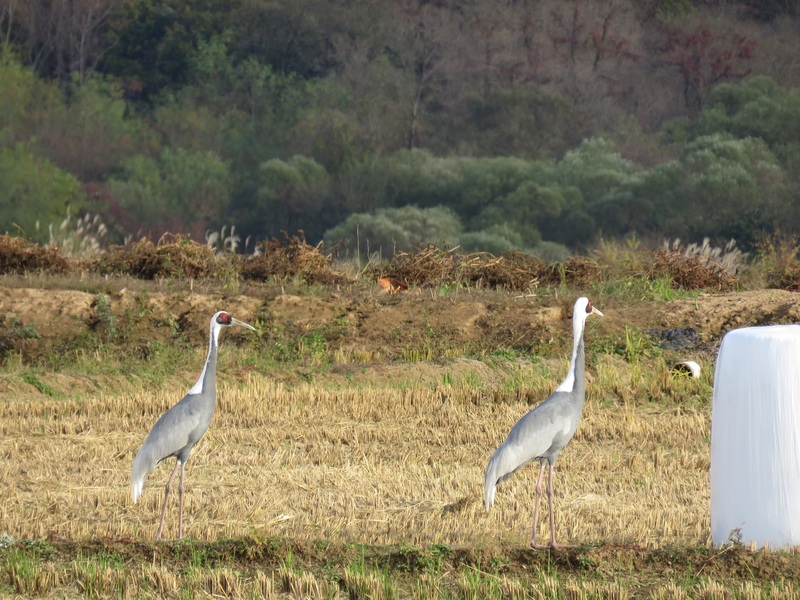 I managed to see only one pair of early White-naped cranes – many of the ways leading to the civilian control zone (where most of the cranes are supposed to be, slowly arriving by now) were blocked by the manoeuvres. 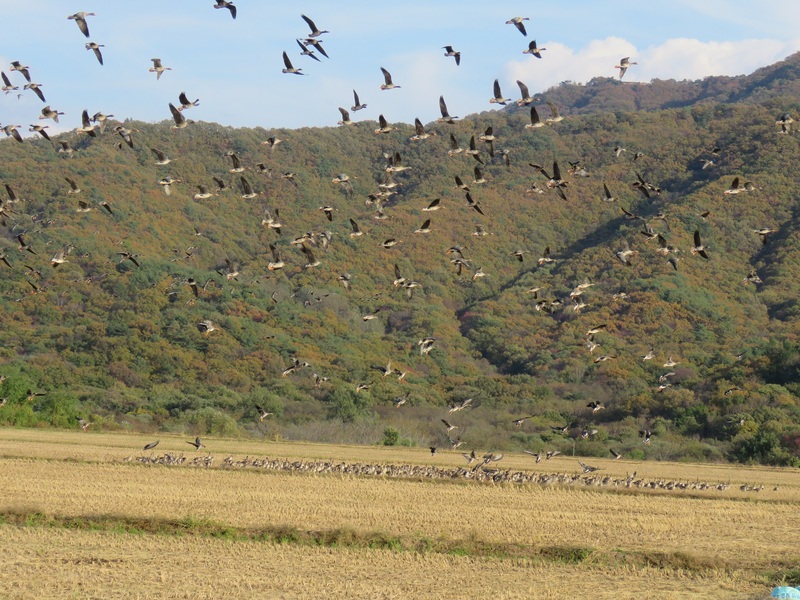 However, the constant disturbance in the air made for great views of hundreds of smaller and larger flocks of geese. 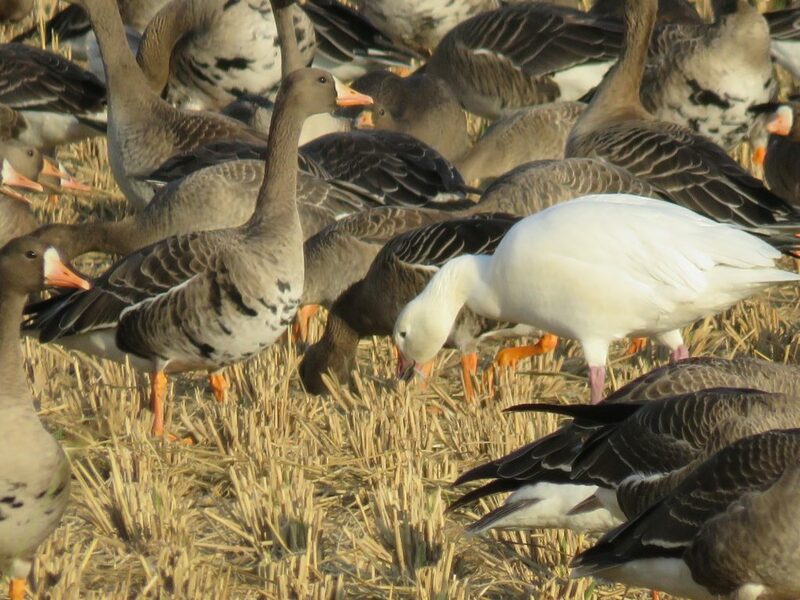 Among a single flock of more than 3000 geese (conservatively estimated, there were constantly more flocking to the area) of Bean geese and White-fronted geese, there was one Snow goose to be seen.